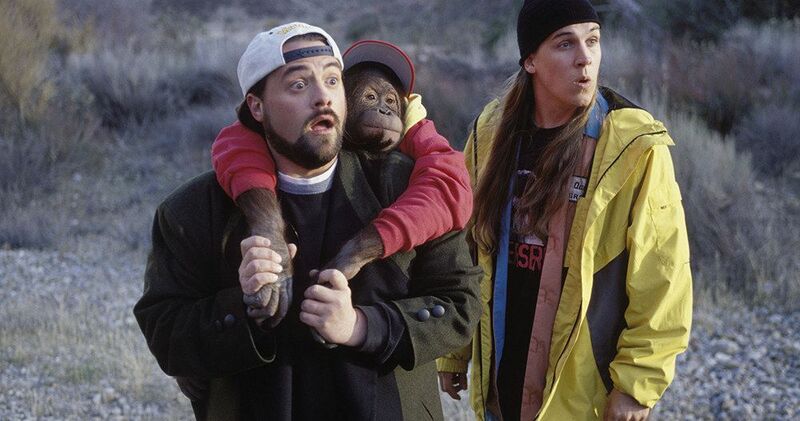 Saban Films has acquired North American rights to Kevin Smith’s highly-anticipated Jay & Silent Bob Reboot, the sequel to the 2001 comedy Jay and Silent Bob Strike Back. Jason Mewes and Smith are reprising the lead roles, alongside a number of returning players from the star-studded cast of the original movie, as well as a fresh new crop of cameos from the worlds of movies, TV, music and podcasting. Saban Films has committed to a substantial theatrical release. Jordan Monsanto of Smodco is producing alongside Destro Film’s Liz Destro. Production is currently underway. Jay (Jason Mewes) and Silent Bob (Smith) were first introduced 25 years ago in Smith’s directorial debut, Clerks. The unlikely stoner icons have subsequently appeared in Mallrats, Chasing Amy, Dogma, Jay and Silent Bob Strike Back and Clerks II, as well as the animated film Jay and Silent Bob’s Super Groovy Cartoon Movie. The new movie will skewer reboots, remakes, and sequels while simultaneously being all three at the same time. Saban Films’ Bill Bromiley commented. Bill Bromiley and Jonathan Saba negotiated the deal for Saban Films, with Jackie Eckhouse of Sloss Eckhouse LawCo on behalf of the filmmakers. Universal Pictures Home Entertainment Content Group has picked up all international rights. Equity Financing for the Picture has been provided by Hideout Pictures, Mickey Gooch Jr’s Skitbags Entertainment, and Fan Owned Legion M. Debt Financing for the film has been provided by Three Point Capital Louisiana and Intercut Capital. The company continues to grow its presence in the industry, with successes that have run the gamut from critically acclaimed theatrical films such as The Homesman starring Hilary Swank, to one of the biggest Fathom events in 2016 with Rob Zombie’s horror thriller 31. Recent titles include the anthology Berlin, I Love You with Helen Mirren, Keira Knightley and Jim Sturgess; the Gerard Butler starrer The Vanishing; Alexandre Moors’ The Yellow Birds starring Tye Sheridan, Alden Ehrenreich, Toni Collette, Jason Patric, Jack Huston and Jennifer Aniston; Eshom and Ian Nelms’ lauded feature Small Town Crime starring John Hawkes and Octavia Spencer; and Ivan Kavanagh’s Never Grow Old starring John Cusack and Emile Hirsch. This new comes direct from Saban Films.